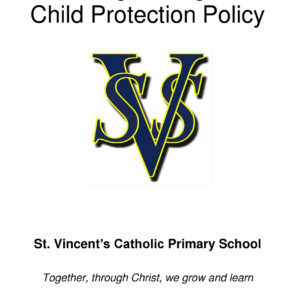 The governors and staff of St Vincent’s Catholic Primary School fully recognise the significant contribution it makes to safeguarding children. We recognise that all staff, including volunteers, have a full and active part to play in protecting our pupils from harm. All staff and governors believe that our school should provide a caring, positive safe and stimulating environment, which promotes the social, physical and moral development of the individual child.